MITCHELL RIVER SILT JETTIES have been created by silt deposits over thousands of years. They are the longest digitate delta in the world. They are located along the end of the Mitchell River where it runs in to the Gippsland Lakes. Access to the Silt Jetties from Captains Cove is just a 7 minute drive to Eagle Point. The Silt jetties offer excellent fishing locations, walking or bike riding track aswell as a great place to observe birdlife of the Gippsland Lakes. Partly sealed & partly gravel the silt jetties extend for approximately 8kms. LAKES ENTRANCE / LAKE TYRES is a seaside town & fishing port. Cross the pedestrian bridge to the 90 mile beach, play mini golf, visit the Riviera Ice Creamery, go crabbing or take a boat cruise. Our top dining tip is Albert & Co or explore a little further out to visit the popular Water Wheel Tavern on the beach at Lake Tyres. 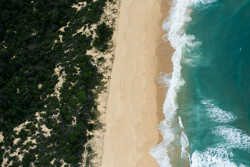 Lakes Entrance is 50 minutes drive from Captains Cove. EAST GIPPSLAND ART GALLERY is located in Bairnsdale & is the centre for visual arts in East Gippsland with a a focus on cultural experiences. The gallery is open Tuesday - Saturday. LINDENOW & WINE To experience the country side you can't go past a a drive to Lindenow. 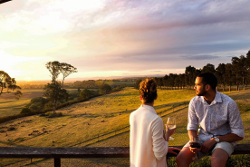 Enjoy a meal or coffee & cake at the renowned Long Paddock & then to Lightfoot & Sons winery & cellar door set on a bluff overlooking the Mitchell River flats. Open every Friday - Sunday & 7 days during peak periods. Lindenow is 30 minutes drive from Captains Cove. 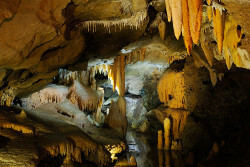 BRUTHEN is a 30 minute drive from Captains Cove on the Great Alpine Road on the way to Mount Hotham. 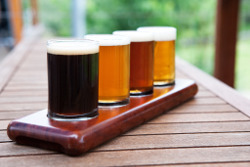 A visit to the Bullant Brewery is a great way to spend the afternoon. This is a populat section of the Rail Trail.